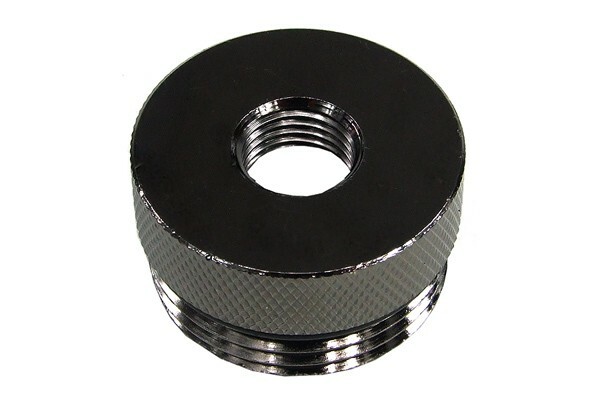 Oil-eye for reservoirs with a 1" thread with G1/4" integrated thread. This brass adaptor can be sued on many reservoirs or pump accessories. The double knurling doesn't just look good, it also allows tool-free installation of the oil-eye! Its integrated g1/4" allows the use of many features which could not be used before: Installation of a lighting module, Fillport or one of the many more accessories with a G1/4" thread.